Whether Elvis Presley perished on the toilet while eating a cheeseburger is the stuff of myth, fact or legend, the king of rock ‘n roll is certainly alive and kicking in this upbeat title from WMS. 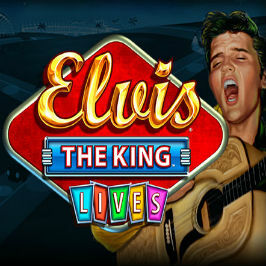 With a couple of distinct bonus features and a Free Spins round, Elvis the King Lives slot is sure to leave you ‘all shook up’ – the wins just keep on coming! The unusual reel layout maximises the potential for some very handsome rewards to be earned. 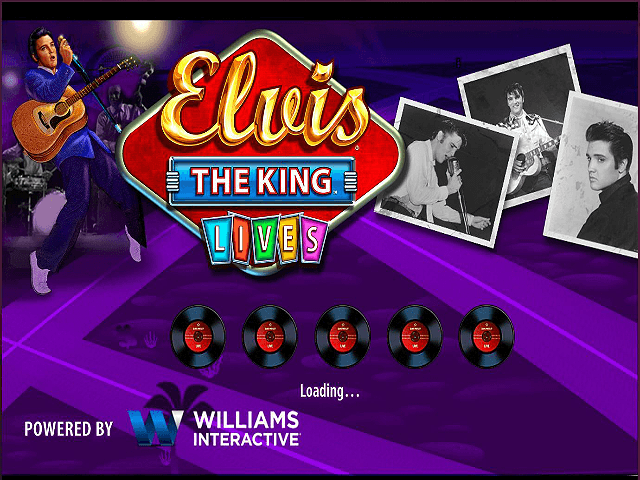 Featuring snippets of original recordings from the Blue Suede Shoe’d crooner – including the appropriate strains of Viva Las Vegas when you land a big win – Elvis the King Lives slot is an exciting slot game for all to enjoy. So, a little less conversation and a little more action, please – it's time to find out how you play. The next tier of symbols show Elvis in a variety of iconic poses. These pay up to 2.50 for matching five on one of the game’s 80 paylines. The wild symbol depicts Elvis again: this time with his famous red lettering backdrop. This can appear stacked on your reels and contributes some excellent payouts. 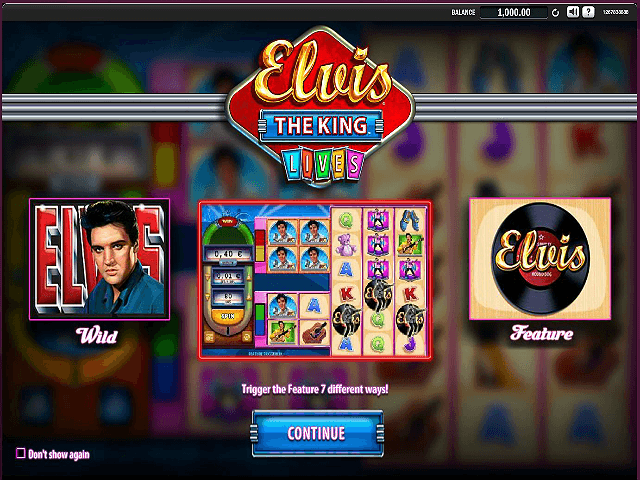 Finally, the feature symbol is the Elvis vinyl record, which plays a part in triggering the Free Spins feature. In a satisfying twist, you'll find there are two different ways to trigger the Free Spins round in Elvis the King Lives online slot. The first way is to spin matching symbols on reels 1-4 and/or reels 5-8 (a cause aided by those stacked wilds). The second is to land the feature symbol on reels 9-11. 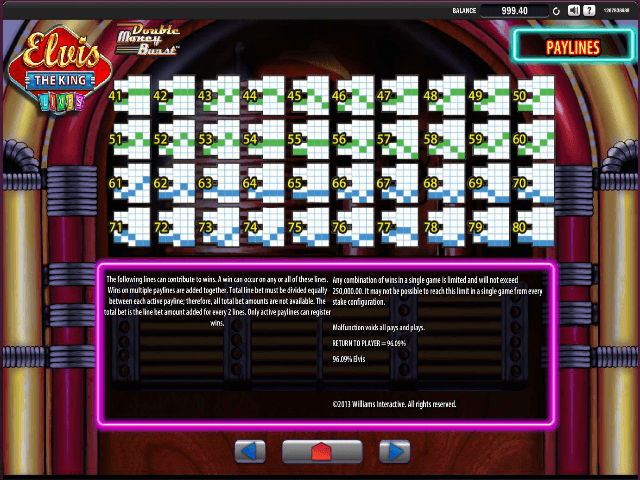 In this instance, players pocket five free spins backed by a 1x multiplier. However, if you manage to reveal matching symbols on reels 1-4/5-8 AND land three of the feature symbol on reels 9-11, you'll be rewarded with 20 free spins and a cash prize of some 100x your stake. 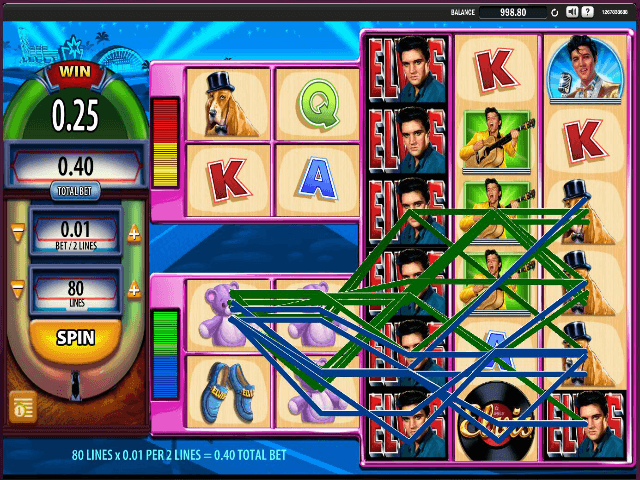 If you like Elvis the King Lives - You'll like these slots too!